TempoGO, an Internet of Things (IoT) and SaaS solutions provider for commercial transportation has secured a Rs 5.6 crore (about US$825k) seed investment recently. The round was led by Hong Kong-based K2 Capital Group along with the participation of a network of several high net worth individuals (HNI) Hong Kong-based investment bankers. The latest capital will be mainly used to upgrade the technology as well as hiring more professionals to add to the existing 15 employees in the company. Founded in 2015 and operated by Carryage Technologies Pvt Ltd, the Mumbai-based startup provides IoT and Saas solutions for the transportation industry using an integrated platform that connects vehicles, people, and trips, improving the productivity of a commercial vehicle fleet, either by passenger or freight. “With the second-largest road network in the world, India has over 8 million commercial transportation vehicles that drive across the length of 4.7 million kilometers of roads. But unbelievably, nearly 75 percent of these do not yet leverage technology,” said Pranav Shirke, the co-founder, and COO of TempoGO. TemporGO’s platform consist of two layers, one powered by Internet of Things (IoT) sensors on vehicles and another by software-as-a-service (SaaS). On the other hand, the SaaS layer includes Trip Management and Fleet Management software and a dashboard for actionable business intelligence using data analytics. Over the past 12 months, the TempoGo solution claims to have been proven on over 1,800 inter-city trips in India covering 650,000-plus kilometers, for 300 clients including Bisleri, Blue Dart, Oyo Rooms and Havells. TempoGO’s has a range of clients from freight transport companies, cold-chain companies, logistics companies, distribution companies with their own vehicles, bus or taxi operators, corporate employee or school bus fleets. 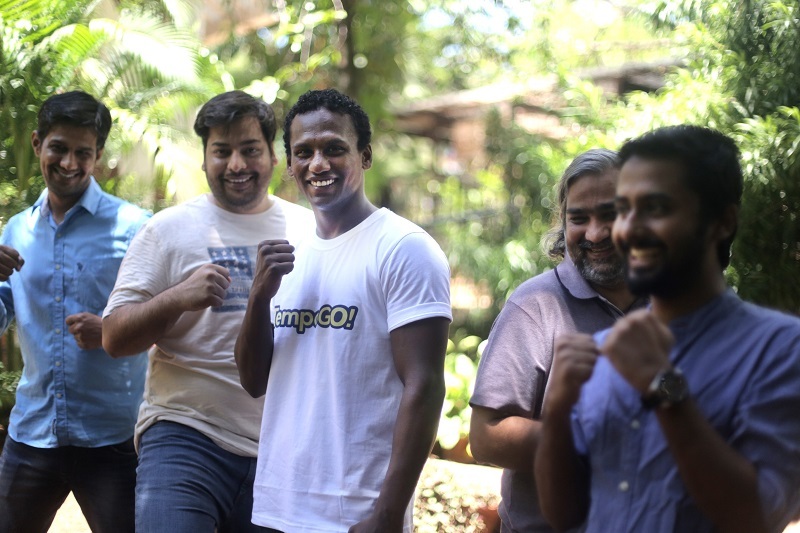 TempoGo was incubated at Goa-based Prototyze, which has catalysed other funded companies, including a mobile fitness company – MobieFit, a Saas-based mobile platform for corporate training – HandyTrain, and Seynse, a financial technology company that operates a digital lending platform called Loan Singh.